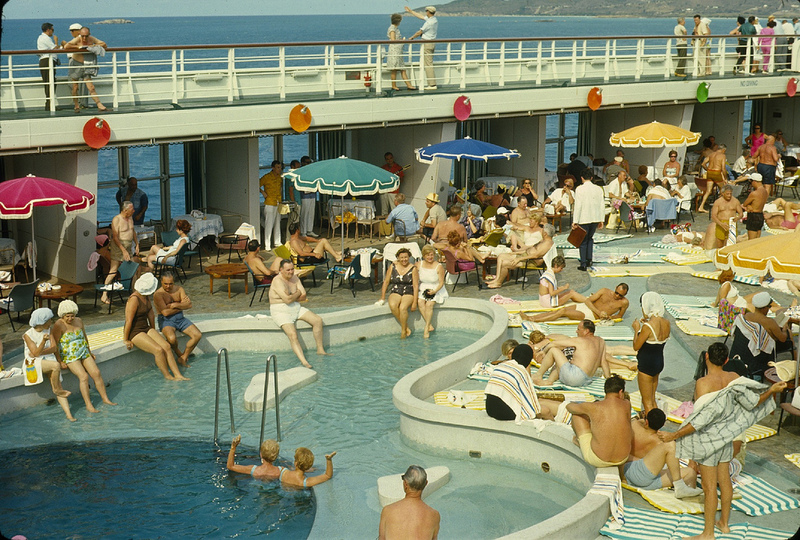 Home / 1950s / Home Line’s OCEANIC was one of the most beautiful and successful cruise ships of all times. By the mid-1960s, when jets had killed off all but the stragglers on the North Atlantic, Home Lines introduced the OCEANIC. 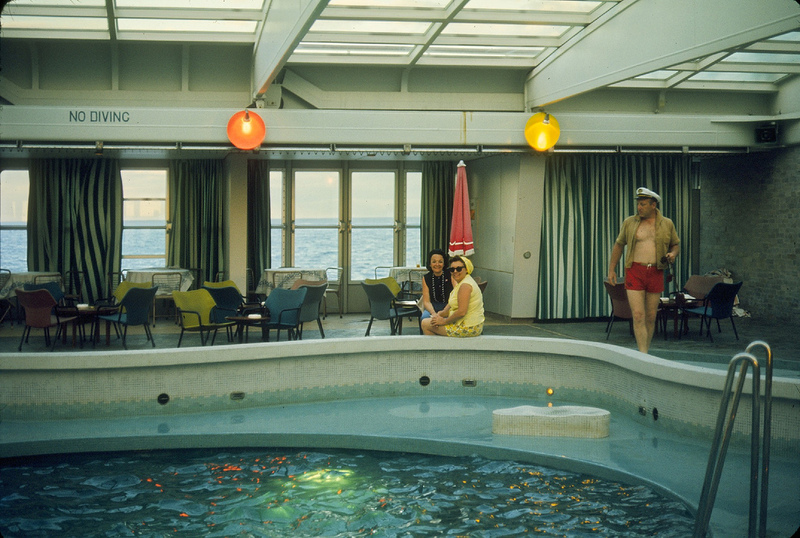 Oceanic had one of the first Balcony/Terrace Suites. 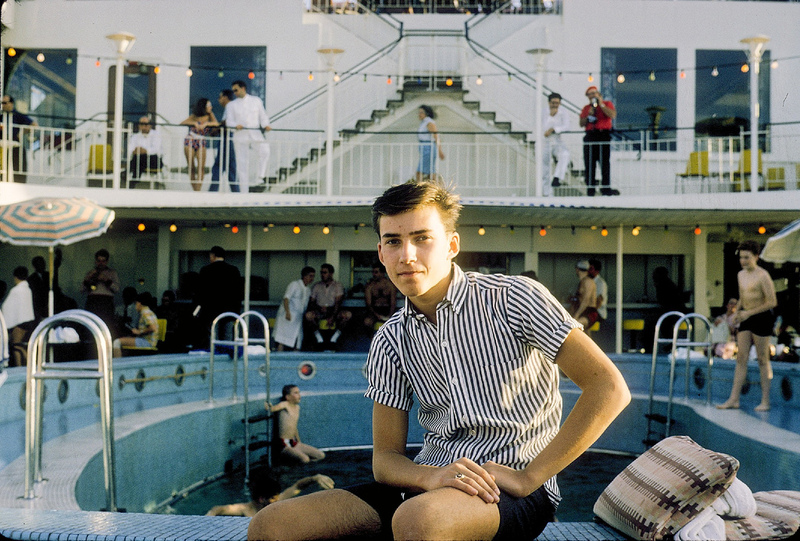 Once it was late enough for people to have forgotten the initial intention for the ship to work as a two class liner between Italy and Canada in the summer and cruise as a one-class ship from New York for the remainder of the year. 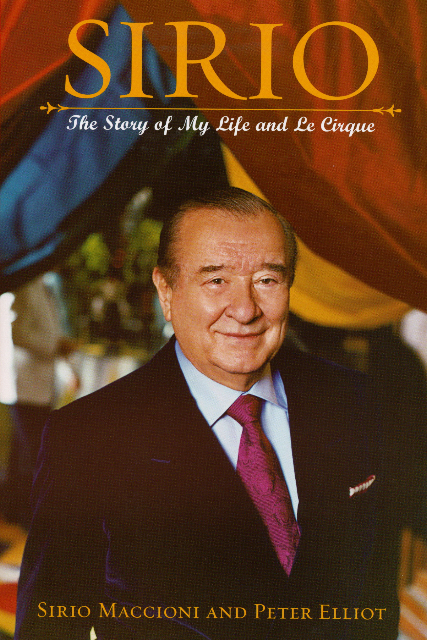 After achieving success, he sailed trans-Atlantic years later as a first class passenger aboard the Italian Line’s SS GIULIO CESARE. In June 2004 Maccioni published his biography, Sirio: The Story of My Life and Le Cirque with restaurant critic Peter Elliot. OCEANIC Swimming Pool – 1960s. 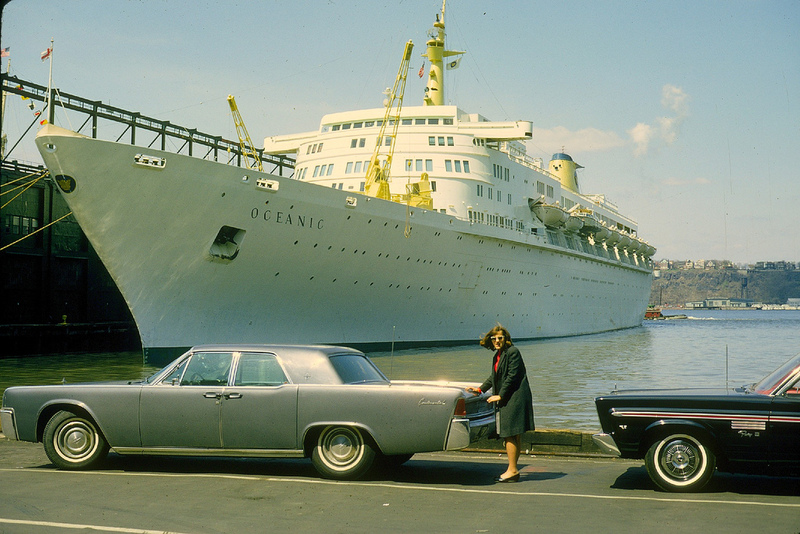 Homeric OCEANIC docked in New York – 1960s. 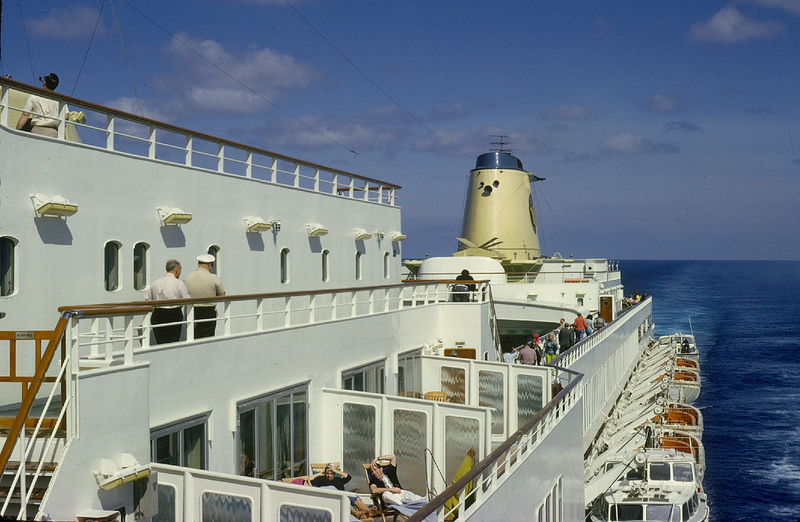 The OCEANIC was Home Line’s giant swan song…the third and last ship ever built to the order of that enigmatic concern. Great YouTube color home movies of a cruise to Nassau, the Bahamas, aboard the Oceanic, accompanied by the ship’s band performing her theme song! Whatever and whoever was behind Home Lines…and some damn impressive names in the shipping business lent their talents and cash to the concern in its four decades of existence. 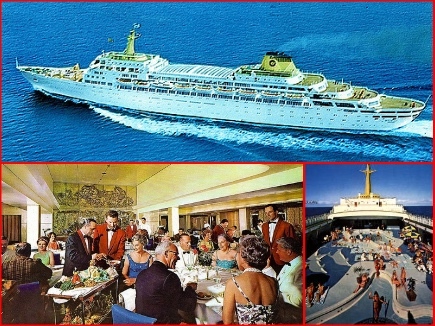 Home Lines built on the finest Viennese, Triestine and Genoese traditions of hotel service at sea to transform itself over the years from a carrier of displaced persons and migrants in the middle and late 1940s to a solid middle-class carrier by the 1950s. 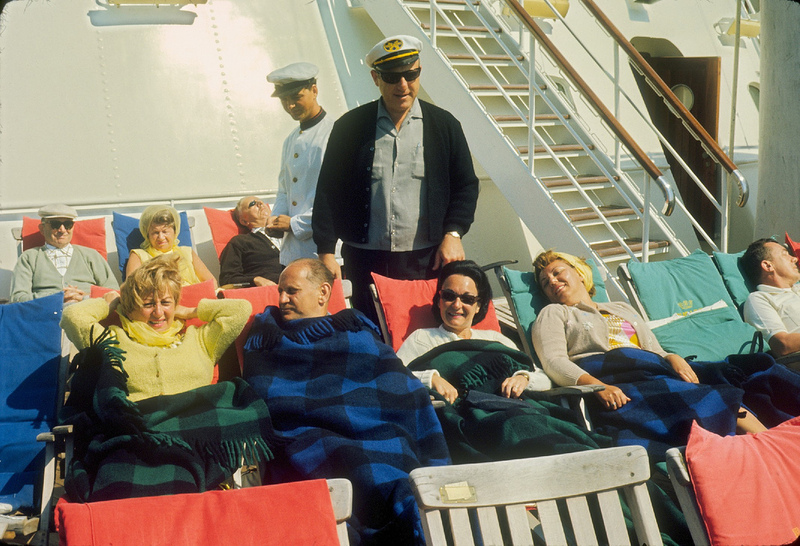 Scenes from a cruise aboard the OCEANIC in the 1960s. 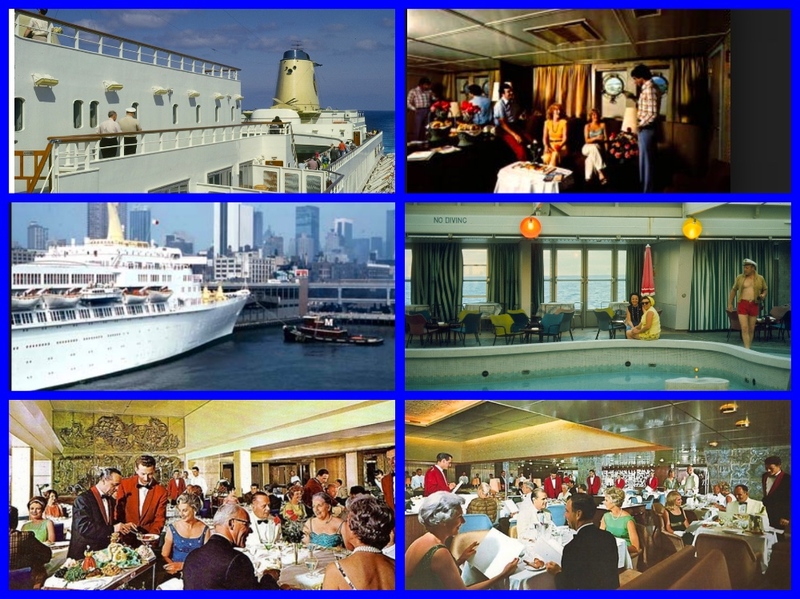 Scenes from a cruise HOME LINE cruise in the 1960s. Leaving the race for the creme de la creme on the Mediterranean to New York run to Italian Line and American Export Lines, Home Lines settled in to occupy a solid niche in the middle, carrying hordes of tourists back and forth across the Atlantic. 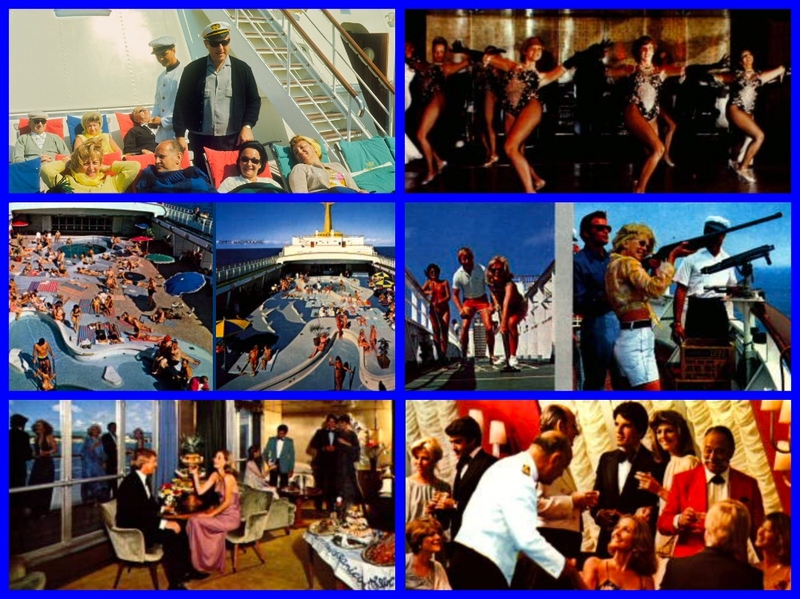 They also perfected the concept of the one week all-inclusive cruise from a North American port. Their cruises were very popular. Previous: The luxurious liner Awatea was the “only way to cross” the Tasman Sea from Australia to New Zealand!